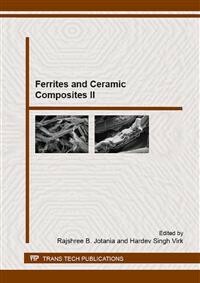 Ceramics and composites processing and its affects upon microstructure, properties and applications. Dr Pullar is now developing this to make SUSTAINABLE MULTIFUNCTIONAL MATERIALS. Sustainable Chemistry and "Green" nanosynthesis: Sol-gel synthesis and processing. 29 papers, 1 book chapter. Sustainable Materials and Waste valorisation: For use as biomaterials, and magnetic and electronic ceramics, and anti-pollution construction materials. 31 papers. Multifunctional photocatalysts: With tuneable/coupled optical-magnetic-electrical properties. 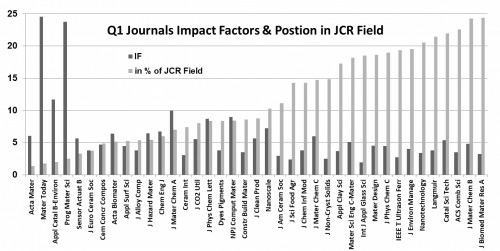 86 papers are published in JCR SCI journals in the top quartile in the areas of: MATERIALS SCIENCE, MULTIDISCIPLINARY; MATERIALS SCIENCE, CERAMICS; MATERIALS SCIENCE, BIOMATERIALS; MATERIALS SCIENCE, TEXTILES; MATERIALS SCIENCE, COMPOSITES; MATERIALS SCIENCE, COATINGS & FILMS; NANOSCIENCE & NANOTECHNOLOGY; ENERGY & FUELS; GREEN & SUSTAINABLE SCIENCE & TECHNOLOGY; ENVIRONMENTAL SCIENCES; METALLURGY & METALLURGICAL ENGINEERING; CRYSTALLOGRAPHY; MINERALOGY; PHYSICS, APPLIED; PHYSICS, ATOMIC, MOLECULAR & CHEMICAL; AGRICULTURE, MULTIDISCIPLINARY; COMPUTER SCIENCE, INTERDISCIPLINARY APPLICATIONS; COMPUTER SCIENCE, INFORMATION SYSTEMS; ENGINEERING, MULTIDISCIPLINARY; ENGINEERING, CHEMICAL; ENGINEERING, ENVIRONMENTAL; ENGINEERING, ELECTRONIC & ELECTRICAL; ENGINEERING, CIVIL; ACOUSTICS; CHEMISTRY, MULTIDISCIPLINARY; CHEMISTRY, APPLIED; CHEMISTRY, MEDICINAL; CHEMISTRY, PHYSICAL; CHEMISTRY, ANALYTICAL; ELECTROCHEMISTRY; INSTRUMENTS & INSTRUMENTATION; CONSTRUCTION & BUILDING TECHNOLOGY. 2009–Present: Dept. Engenharia de Materiais e Cerâmica / CICECO, Universidade de Aveiro (UA), 3810-193 Aveiro, PORTUGAL. Investigador Principal; ceramic processing, combinatorial and high-throughput ceramics processing, multiferroic and magnetoelectric ceramics and composites, magnetic ceramics, dielectric ceramics, ceramic fibres, bioceramics, photocatalysts, waste remediation and valorisation, wood-based ecoceramics, sustainable chemistry. 2008-Present: Department of Materials, Imperial College London (IC), Exhibition Road, London, SW7 2AZ, UK. Visiting Fellow in Materials at Imperial College, London. 2008-2009: IESL, Foundation for Research & Technology - Hellas (FORTH) P.O. Box 1385, Vassilika Vouton, 711 10 Heraklion, Crete, GREECE. Marie Curie Research Fellowship; synthesis and self assembly of magnetic ferrite nanocrystals and colloidal nanoclusters. 2007-2008: Department of Materials, Imperial College London (IC), Exhibition Road, London, SW7 2AZ, UK. Research Fellow; combinatorial ceramics and multiferroic composites. 2000-2007: Faculty of Engineering, Science and the Built Environment, London South Bank University (LSBU), London, SE1 0AA, UK. 2004 - 2007 Senior Research Fellow, 2000 - 2004 Research Fellow; combinatorial ceramics, microwave dielectric ceramics, ferroelectric ceramics, hexaferrites and multiferroic composites. 1994-2000: Warwick Manufacturing Group, School of Engineering, University of Warwick (UW), Coventry, CV4 7AL, UK. Research Associate; hexaferrite sol-gel, ceramics, fibres and composites, other magnetic, dielectric and structural ceramics as sol-gel and fibres. 1995-1999: School of Engineering, University of Warwick, Coventry, UK. 1991-1993: Department of Chemistry, Bangor University (UCNW), Bangor, Gwynedd, UK. MSc by research in Inorganic Chemistry. Dr Pullar has published 149 papers. He is first author, lead writer and principal contributor on 46 of them, and last author on another 21 articles. 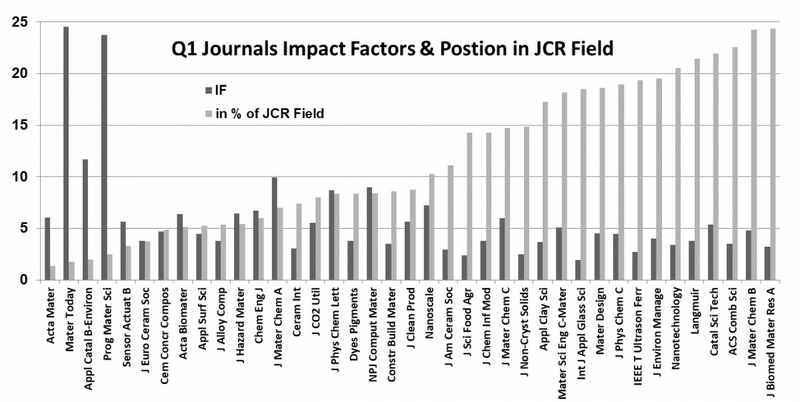 86 of these papers are published in JCR SCI journals in the top quartile in their areas (Q1), 54 are in the top 10%, and 41 are in journals in the top 3 of their areas. 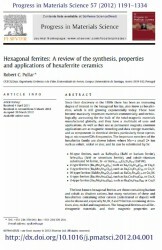 In 2012 he published a major invited review on hexaferrites in Progress in Materials Science, which has a 5-year Impact Factor of 33 (vol 57, p.1191-1334, ref 56 below). This was their 9th most downloaded article in 2012, despite only being published in September of that year, was the 3rd most cited PMS article over its first 5 years, and has over 28,000 views. It has already been cited more than 800 times, and is ranked as a Highly Cited Paper from Essential Science Indicators on Web of Science. It is the 9th most cited Portuguese Materials Science paper on Scopus, and is the 2nd most cited published since 2007. 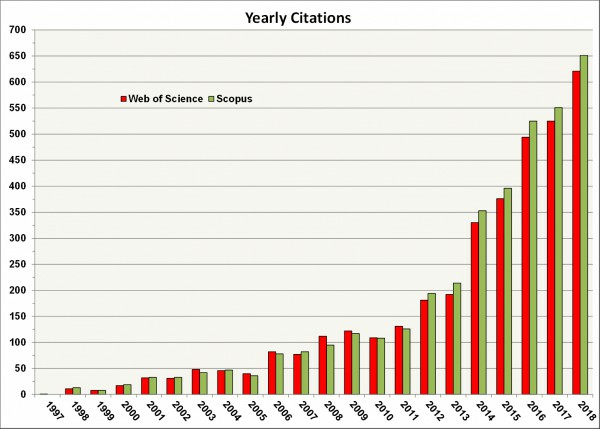 It is now the most cited hexaferrites publication of the last 50 years. In 2009 he published an invited review on columbite niobate ceramics for the Journal of the American Ceramic Society (vol 92, p.563-77, ref. 50 below), then the premier ceramics journal. 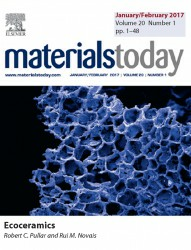 His work on cork-based Ecoceramics was selected as the cover image for Materials Today (IF = 24.5) Vol. 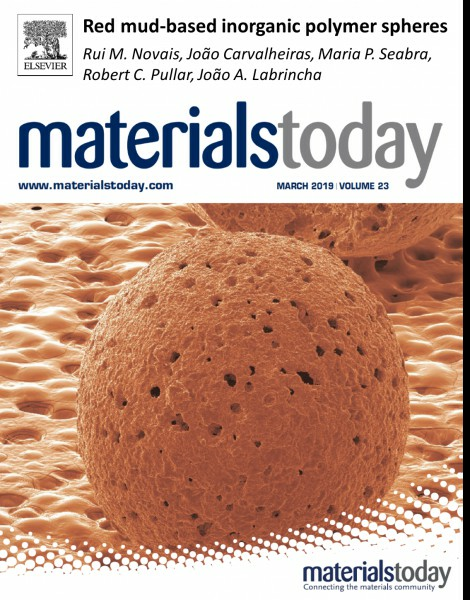 20, Issue 1, 2017, and the work on wastes-derived geopolymer spheres was on the cover of Materials Today Vol. 23, March 2019. He has a large number of citations (>3900), an h index of 32 (Scopus), an h10 index of 8, and a g index of 58. His most cited research paper, on cobalt ferrite nanoparticles, has >260 citations (ref 15 below), and he has another four with >100 citations (refs 31, 38, 39 & 47 below) and a further 11 with >50 citations (refs 6, 7, 11, 21, 24, 27, 29, 50, 59, 63 & 76 below). 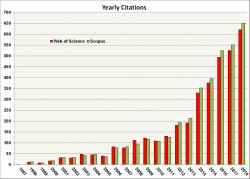 His papers have over 117,000 views on Mendley/Science Direct, and have been averaging ~16,000 views per year since 2016. 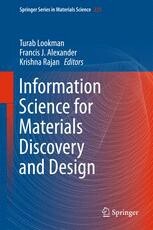 He has published three book chapters, on "Combinatorial Materials Science, and a Perspective on Challenges in Data Acquisition, Analysis and Presentation" in “Information Science for Materials Discovery and Design" (Springer, 2016), “Hexagonal Ferrite Fibres and Nanofibres” in “Solid State Phenomenon – Ferrites and Ceramic Composites Vol II” (TransTech, 2016), and “Multiferroic and Magnetoelectric Hexagonal Ferrites” in “Mesoscopic Phenomena in Multifunctional Materials” (Springer, 2014). 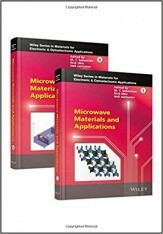 He has also co-authored six further book chapters, for Springer, Wiley, Nova and Materials Research Forum LLC: see the publication list below for details. He has presented at over 85 conferences on five continents (>75 oral, >30 invited), and has given 28 invited lectures in the UK, Italy, Portugal, Germany, Turkey, Morocco, USA, Japan, Brazil, Dubai and India. He was a Key-Note Speaker at the V Congreso Hispano-Luso de Cerámica y Vidrio (5th Joint Congress of the Spanish and Portuguese Ceramic Societies) in October 2018, and was a Key-Note Speaker at the Green Conservation of Cultural Heritage 2017 conference. 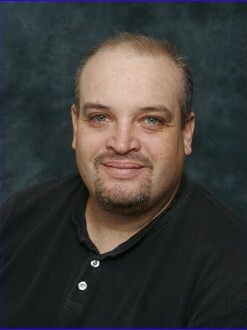 He has chaired >20 sesions, and has been a poster judge. He was Publications Chair for the 21st International Symposium on Applications of Ferroelectrics / 11th European Conference on Polar Dielectrics / 4th Conference on Piezoresponse Force Microscopy and Nanoscale Phenomena in Polar Materials – ISAF-ECAPD-PFM-2012, 9th-13th July 2012, University of Aveiro, Portugal (>500 abstracts submitted). He was also Publications Chair for the Materiais2017 conference in Aveiro in 2017 (>400 abstracts submitted). He was on the Scientific Committee of the 2nd Green Conservation of Cultural Heritage Conference 2017 in Palermo, Italy (www.greenconservationconference.com), and is on the Scientific Committee of the 3rd Green Conservation of Cultural Heritage Conference 2019 in Porto, Portugal (http://artes.porto.ucp.pt/en/greenconservation2019). He was the General Co-Chair of the CICMT2018 conference in Aveiro (http://www.imaps.org/ceramics/), and also acted as Moderator for the Debate on Processing Towards Room Temperature. He was on the Organising Committee of the 2nd International Conference on Magnetism and Magnetic Materials 2018 in Budapest, Hungary, and for the coming 3rd International Conference on Magnetism and Magnetic Materials 2019 in Barcelona, Spain (http://magneticmaterials.alliedacademies.com/). He is a member of the International Advisory Board for the Microwave Materials and their Applications (MMA) conferences. He has established a wide circle of national and international collaborations leading to many publications, joint proposals, and visits. He has also obtained Royal Society, Royal Academy of Engineering and FCT travel grants to give invited lectures overseas, in Asia, Africa and the Americas. He has reviewed well over 300 papers for many journals (https://publons.com/author/467233/robert-c-pullar#profile), including Nature Physics, Prog. Mat. Sci., Adv. Mat., J. Amer. Ceram. Soc., J. Euro. Ceram. Soc., J. Mat. Chem., Appl. Phys. Lett., ACS Sus. Chem. Eng., RSC Adv., ACS Combi. Sci., NPG Asia Mat., Sci. Rep., J. Phys. Chem. C, ACS Appl. Mat. Interf., Appl. Phys. Lett., CrystEngComm, Acta Mat., J. Electroceram., J. Appl. Phys., J. Phys. D & CM, Mat. Design, J. Mat. Res., Mat. Chem. Phys., Mat. Sci. Bull., Mat. Sci. Eng. A & B, Mat. Lett., J. Magn. Mag. Mat., J. Alloy Comp., J. Mat. Sci., J. Nanotechnology, etc. He has also reviewed proposals for the ERC, EU H2020, EPSRC, EU COST programmes, LEaDing Fellows Programme for Delft and Leiden Universities, Slovenian Research Agency and the Czech Science Foundation, and several book proposals for Elsevier. 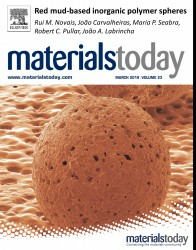 He is on the Editorial Advisory Board of Nano-Micro Letters (Springer, IF = 7.4, http://www.springer.com/engineering/journal/40820), and is on the Editorial Board of the International Journal of Composite Materials (http://journal.sapub.org/cmaterials) and the new journal Ceramics (http://www.mdpi.com/journal/Ceramics). He was an Associate Editor of the Royal Society of Chemistry journal RSC Advances (IF = 3.1). He was the Guest Editor of special issues of IEEE Trans. UFFC (Ultrasonics, Ferroelectrics and Frequency Control), Ferroelectrics and Ciência e Tecnologia dos Materiais, a special section of Materials Research Bulletin, and was the Editor of Multiferroic Materials. Dr Pullar was the winner of a highly prestigious Marie Curie Intra-European Fellowship. This is awarded to the best scientists in Europe to establish themselves as fully independent researchers. He is a Visiting Fellow at Imperial College, London. He is a Fellow of the Royal Society of Chemistry (FRSC). Dr Pullar joined as an independent Investigador, and works closely with Prof João Labricnha's group, although he also collaborates with other academics in Aveiro. He is in the “Multifunctional Ferroic Ceramics and Nanostructures” and “Sustainability, Recycling and Biomaterials” research lines in CICECO. Dr Pullar has a new 3-year FCT research project on the preservation of cultural heritage starting in 2018, and is a Core Team Member and the lead UA member. This will fund a researcher at UA for 2 years, and is worth €240K. 2018-2021 Bio4MURAL - Inovative biotechnological solutions for the removal of pigments and preventative conservation of historically and culturally relevant paintings and murals. Partners: UA; Universidade Católica Portuguesa (UCP), Porto, PT. Dr Pullar has two 3-year FCT research projects which began in 2016, one as PI (H2CORK) and one as Core Team Member and lead UA member (BIONANOSCULP). These will fund researchers at UA for 5 man years, and are worth €400K. 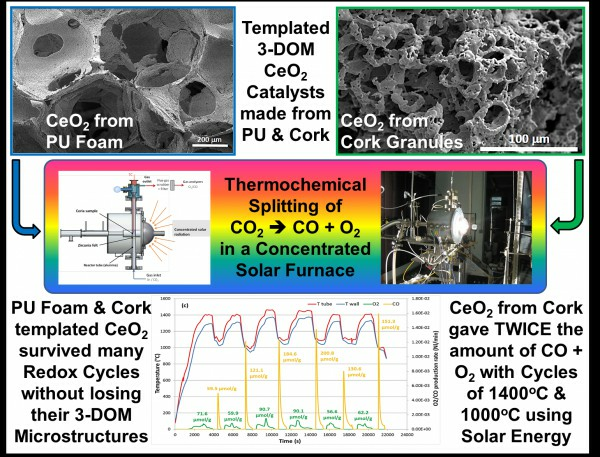 2016-2019 H2CORK - Solar thermochemical production of hydrogen based on cork Ecoceramics. Partners: UA; LNEG - Laboratório Nacional de Energia e Geologia, Lisbon, PT; Amorin Cork Composites, PT; PROMES-CNRS, Odeillo, FR. 2016-2019 BIONANOSCULP - Development of BIONANOmaterials for anti-microbial coating of metal and stone-based outdoor SCULPtures. Partners: UA; Universidade Católica Portuguesa (UCP), Porto, PT; Lab. Servicio de Conservación, Restauración y Análisis científicos del Patrimonio Arqueológico- Universidade Autónoma de Madrid (SECYR-UAM), ES; Division of Urban Parks /Division of Culture of Porto City Council, Porto, PT. He is the UA member of a 2 year MIT Exploration grant to develop novel magnetic solutions to clean up seas polluted with oil spills. 2018-2020 FerroCLEAN - Rheological extensional response of ferrofluids to clean the oceans. Partners: Massachusetts Institute of Technology (MIT), USA; University of Porto (UP), PT; Centro Interdisciplinar de Investigação Marinha e Ambiental (CIIMAR/CIMAR), PT. 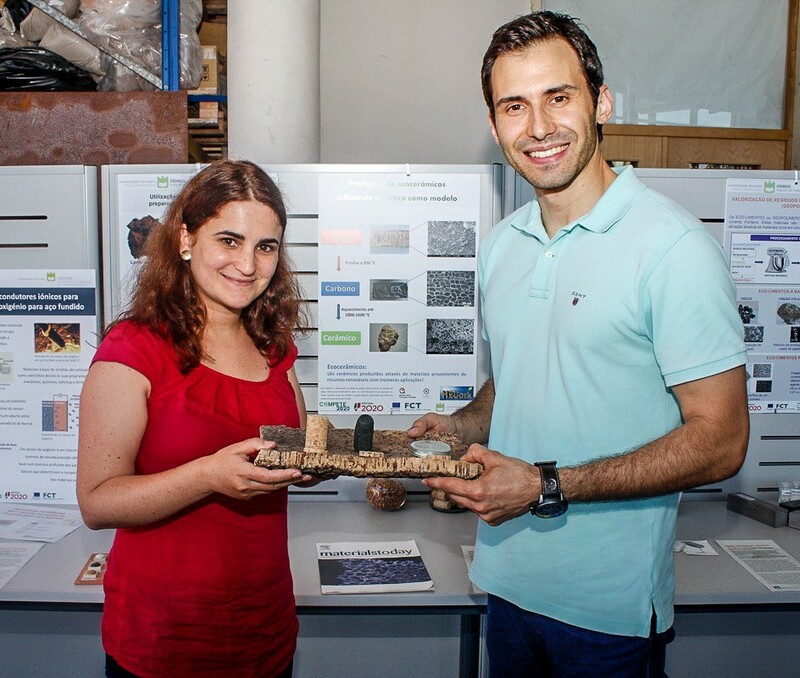 He is also a co-investigator on a new 3-year industrial collaboration project (with Recer www.recer.pt/en) on strengthening reinforcement for ceramics, which has 5-years of funding for two post-docs. Partners: Recer (Companhia Industrial de Cerâmica, SA), PT; CTCV (Centro Tecnológico de Cerâmica e do Vidro), Coimbra, PT. He has won an FCT Investigador Development Grant for five years, from 2016-2021, on sustainable materials science. He has a Short Term Mobility (STM) Grant in 2018 with CNR-IRSA (Bari, Italy) for the "Photocatalytic testing of novel sustainable photocatalysts", and also held a STM in 2014 with CNR-ISTEC (Faenza, Italy) on mangetoelectric ceramics. 2013-2017 ECO-SEE – ECO-innovative, Safe and Energy Efficient wall panels and materials for a healthier indoor environment - EU FP7. Partners: UA; University of Bath, UK; Acciona Infraestructuras SA, ES; Bangor University, UK; BCB, FR; Building Research Establishment LTD (BRE), UK; Claytec eK, DE; Envipark SPA, IT; Fraunhofer IBP, DE; Greenovate! 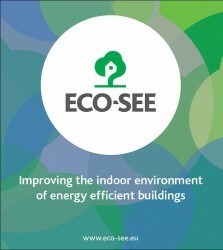 Europe, BE; Indian Institute of Technology Delhi, IN; Lime Technology LTD, UK; Nesocell SRL, IT; Skanska UK PLC, UK; Tecnalia, ES; Wood Technology Institute (ITD), PL; Kronospan LTD, UK; Black Mountain Insulation LTD, UK; ModCell LTD, UK. RP was a co-investigator on this large EU project looking at environmentally sustainable construction materials, including photocatalytic coatings and surfaces. This was worth €300K to UA, and funded a postdoc expert in photocatalysis for 3 years. Dr Pullar was PI of a four year Luso-India Collaboration grant on multiferroic composites (2014-2017). He was also PI of a two year Luso-Morocco Collaboration Grant to develop magnetic photocatalysts to combat industrial pollution (2015-2016). He had a FCT post-doc grant from 2014-2016 to develop ferrite-based multifunctional magnetic materials and photocatalysts. He was co-PI in 2014-15 on a QREN industrial collaboration proposal (INDUCER, €200K) with the ceramic company Grestel, which funded a postdoc for 1.5 years to develop ceramic prototypes for use on induction cookers. Partners: UA; GRESTEL (Companhia Industrial de Cerâmica, SA), PT; CTCV (Centro Tecnológico de Cerâmica e do Vidro), Coimbra, PT. “Piezoelectricity and Ferroelectricity in Biomaterials: From Proteins to Self-assembled Peptide Nanotubes”. 149. “In-depth investigation of the long-term strength and leaching behaviour of inorganic polymer mortars containing green liquor dregs”. Rui M. Novais, João. Carvalheiras, Luis Senff, Maria P. Seabra, Robert C. Pullar and João A. Labrincha, Journal of Cleaner Production 220 (2019) 630-641. 148. 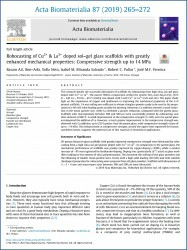 “The effects of Cu2+ and La3+ doping on the ‎sintering ability of sol-gel derived high silica bioglasses‎”. Basam A. E. Ben-Arfa, Isabel M. Miranda Salvado, José M. Ferreira and Robert C. Pullar, Ceramics International 45 (2019) 10269-10278. 147. 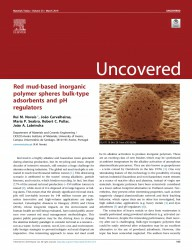 “Red mud-based inorganic polymer spheres bulk-type adsorbents and pH regulators”, cover article. 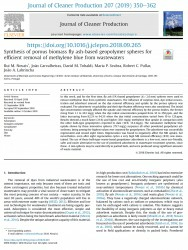 Rui M. Novais, João Carvalheiras, Maria P. Seabra, Robert C. Pullar and João A. Labrincha, Materials Today 23 (2019) 105-106. 146. “A sustainable multi-function biomorphic material for pollution remediation or UV absorption: Aerosol assisted preparation of highly porous ZnO-based materials from cork templates”. 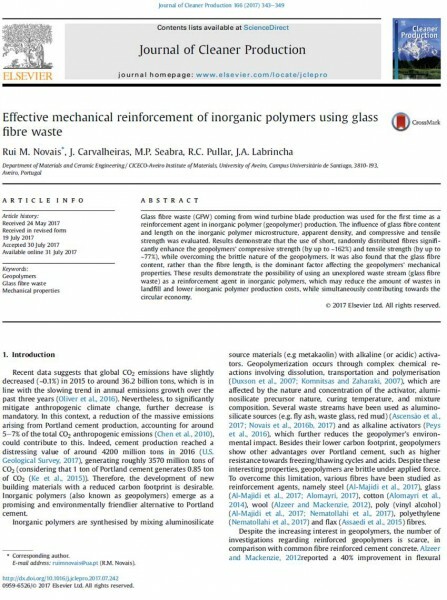 Alessandra Quarta, Rui M. Novais, Simona Bettini, Michele Iafisco, Robert C. Pullar and Clara Piccirillo, Journal of Environmental Chemical Engineering 7 (2019) 102936. 145. 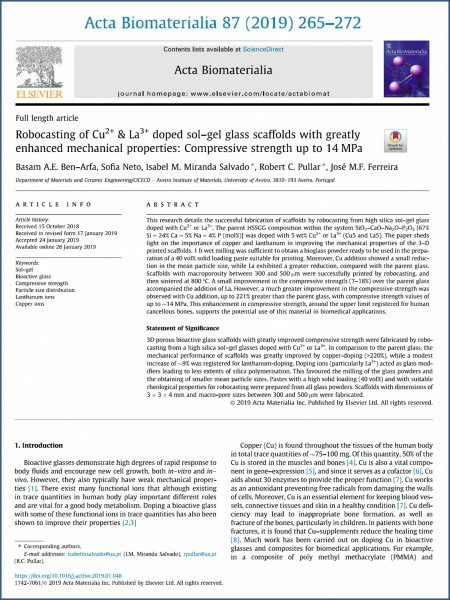 “Robocasting of Cu2+ & La3+ doped sol-gel glass scaffolds with greatly enhanced mechanical properties: compressive strength up to 14 MPa”. 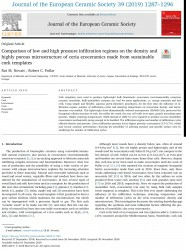 Basam A. E. Ben-Arfa, Ana S. Neto, Isabel M. Miranda Salvado, Robert C. Pullar and José M. F. Ferreira, Acta Biomaterialia 87 (2019) 265-272. 144. “Clove & cinnamon: Novel anti-oxidant eco-fuels for preparing magnetic iron oxide particles by the sol-gel auto‎-‎ignition method”. Basam A. E. Ben-Arfa, Isabel M. Miranda Salvado, José M. F. Ferreira and Robert C. Pullar, Journal of Alloys and Compounds 786 (2019) 71-76. 143. “Robocasting: prediction of ink printability in sol-gel bioactive glass”. Basam A. E. Ben-Arfa, Ana S. Neto, Isabel M. Miranda Salvado, Robert C. Pullar and José M. F. Ferreira, Journal of the American Ceramic Society 102 (2019) 1608-1618. 142. 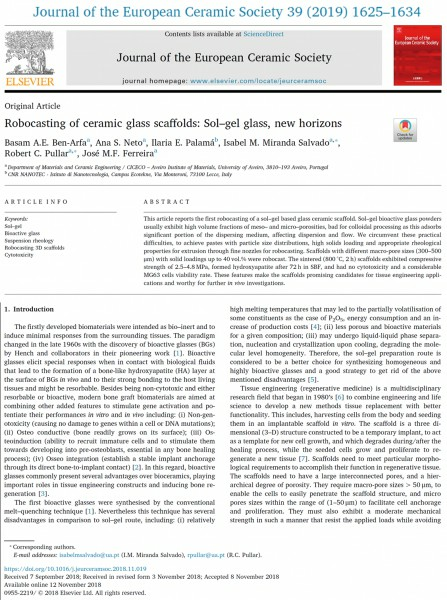 “Robocasting of ceramic glass scaffolds: Sol-gel glass, new horizons”. Basam A. E. Ben-Arfa, Ana S. Neto, Ilaria E. Palamá,Isabel M. Miranda Salvado, Robert C. Pullar and José M. F. Ferreira, Journal of the European Ceramic Society 39 (2019) 1625-1634. 141. 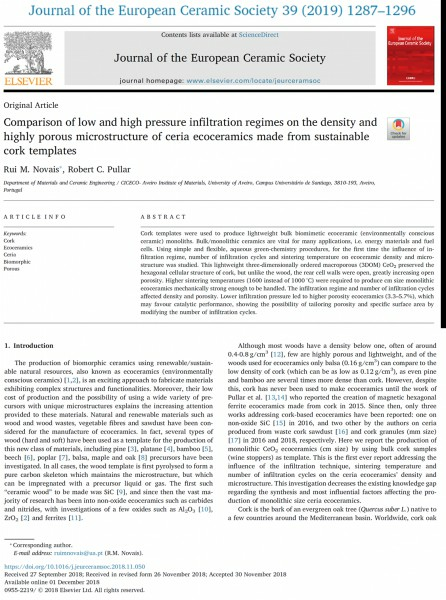 “Comparison of low and high pressure infiltration regimes on the density and highly porous microstructure of ceria ecoceramics made from sustainable cork templates”. Rui M. Novais and Robert C. Pullar, Journal of the European Ceramic Society 39 (2019) 1287-1296. 140. 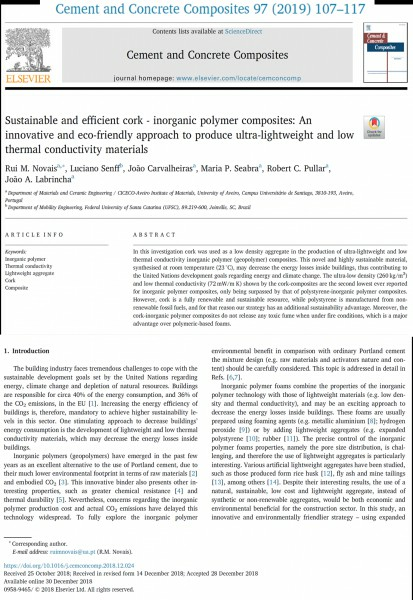 “Sustainable and efficient cork - inorganic polymer composites: An innovative and eco-friendly approach to produce ultra-lightweight and low thermal conductivity materials”. 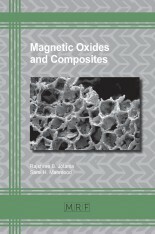 Rui M. Novais, Luciano Senff, João Carvalheiras, Maria P. Seabra, Robert C. Pullar, João A. Labrincha, Cement and Concrete Composites 97 (2019) 107-117. 139. “Guidelines to adjust particle size distributions by wet comminution of a bioactive glass determined by Taguchi and multivariate analysis”. Basam A. E. Ben-Arfa, Isabel M. Miranda Salvado, Jorge R. Frade and Robert C. Pullar, Ceramics International 45 (2019) 3857-3863. 138. “Effect of surfactants on the optical and magnetic properties of cobalt-zinc ferrite Co0.5Zn0.5Fe2O4”. A.-H. El Foulani, A. Aamouche, F. Mohseni, J. S. Amaral, D. M. Tobaldi and R. C. Pullar, Journal of Alloys and Compounds 774 (2019) 1250-1259. 137. “Synthesis of porous biomass fly ash-based geopolymer spheres for efficient removal of methylene blue from waste waters”. Rui M. Novais, João Carvalheiras, David M. Tobaldi, Maria P. Seabra, Robert C. Pullar and João A. Labrincha, Journal of Cleaner Production 207 (2019) 350-362. 136. “One-Step Synthesis, Structure, and Band Gap Properties of SnO2 Nanoparticles Made by a Low Temperature Nonaqueous Sol–Gel Technique”. 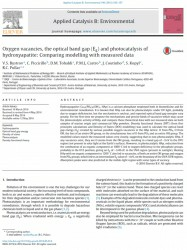 Mohamed Karmaoui, Ana Belen Jorge, Paul F. McMillan, Abil E. Aliev, Robert C. Pullar, João António Labrincha and David Maria Tobaldi, ACS Omega 3 (2018) 13227-13238. 135. “Biotechnology for preventive conservation: development of bionanomaterials for anti-microbial coating of outdoor sculptures”. N. C. Silva, R. C. Pullar, M. Pintado, E. Vieira and P. R. Moreira, Studies in Conservation 63 (2018) 230-233. 134. 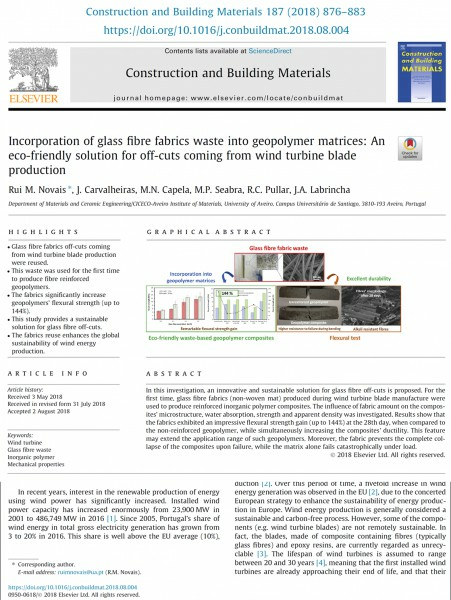 “Incorporation of glass fibre fabrics waste into geopolymer matrices: an eco-friendly solution for off-cuts coming from wind turbine blade production”. R. M. Novais, J. Carvalheiras, M. N. Capela, M. P. Seabra, R. C. Pullar and J. A. Labrincha, Construction and Building Materials 187 (2018) 876-883. 133. “Extremely fast and efficient methylene blue adsorption using eco-friendly cork and paper waste-based activated carbon adsorbents”. 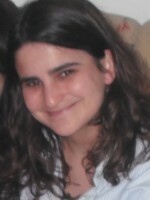 Rui M. Novais, Ana P.F. Caetano, Maria P. Seabra, João A. Labrincha and Robert C. Pullar, Journal of Cleaner Production 197 (2018) 1137-1147. 132. 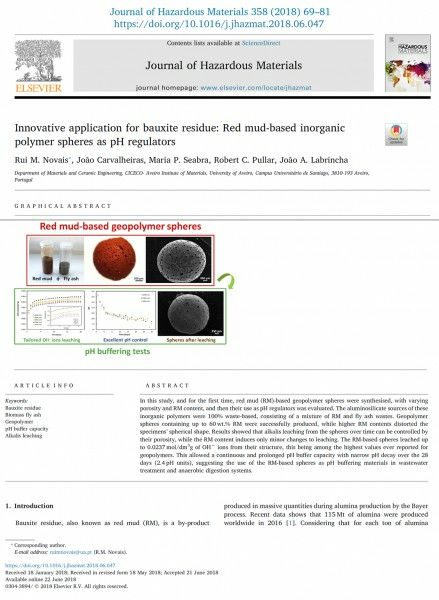 “Innovative application for bauxite residue: red mud-based inorganic polymer spheres as pH regulators”. Rui M. Novais, João Carvalheiras, Maria P. Seabra, Robert .C. Pullar and João A. Labrincha, Journal of Hazardous Materials 358 (2018) 69-81. 131. “Solar thermochemical CO2 splitting using cork-templated ceria ecoceramics”. Fernando C. Oliveira, M. Alexandra Barreiros, S. Abanades, Ana P. F. Caetano, Rui M. Novais and Robert C. Pullar, Journal of CO2 Utilization 26 (2018) 552-563. 130. 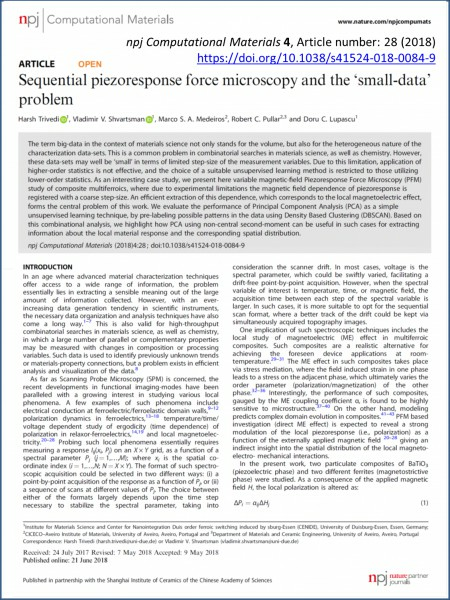 “Sequential Piezoresponse Force Microscopy and the ‘Small-Data’ Problem”. 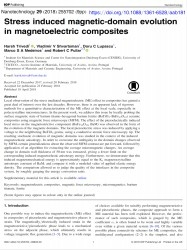 Harsh Trivedi, Vladimir V. Shvartsman, Marco S. A. Medeiros, Robert C. Pullar and Doru C. Lupascu, NPJ Computational Materials 4 (2018) 28. 129. “BIONANOSCULP, an ongoing project in biotechnology applications for preventive conservation of outdoor sculptures”. P. R. Moreira, N. Silva, R. C. Pullar, B. A. E. Ben-Arfa, J. G. Abreu, F. Henriques, M. M. E. Pintado and E. Vieira, IOP Conference Series: Materials Science and Engineering 364 (2018) 012075. 128. 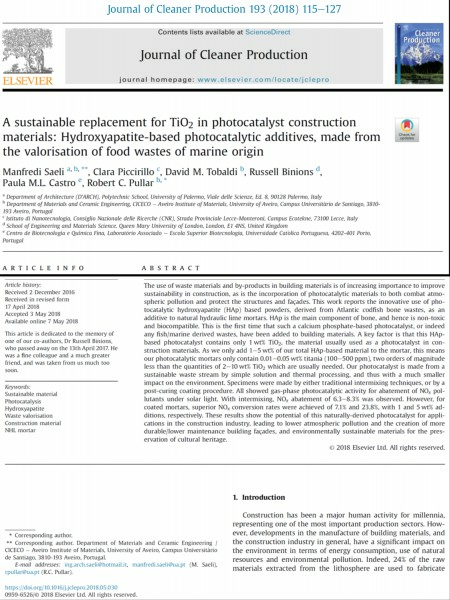 “A sustainable replacement for TiO2 in photocatalyst construction materials: hydroxyapatite-based photocatalytic additives, made from the valorisation of food wastes of marine origin”. Manfredi Saeli, Clara Piccirillo, David M. Tobaldi, Russell Binions, Paula M. L. Castro and Robert C. Pullar, Journal of Cleaner Production 193 (2018) 115-127. 127. 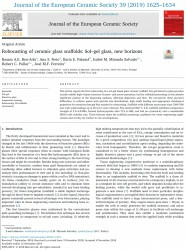 “Enhanced bioactivity of a rapidly-dried sol-gel derived quaternary bioglass”. Basam A. E. Ben-Arfa, Isabel M. Miranda Salvado, José M. F. Ferreira and Robert C. Pullar, Materials Science and Engineering C 91 (2018) 36-43. 126. “The influence of processing parameters on morphology, granulometry and sintering of a wet-milled sol-gel glass powder”. Basam A. E. Ben-Arfa, Isabel M. Miranda Salvado, Robert C. Pullar and José M. F Ferreira, Ceramics International 44 (2018) 12754-12762. 125. “Extraction and characterisation of cellulose nanocrystals from pineapple peel”. Ana Raquel Madureira, Tuğba Atatoprak, Duygu Çabuk, Flávia Sousa, Robert C. Pullar, and Manuela Pintado, International Journal of Food Studies 7 (2018) 24-33. 124. 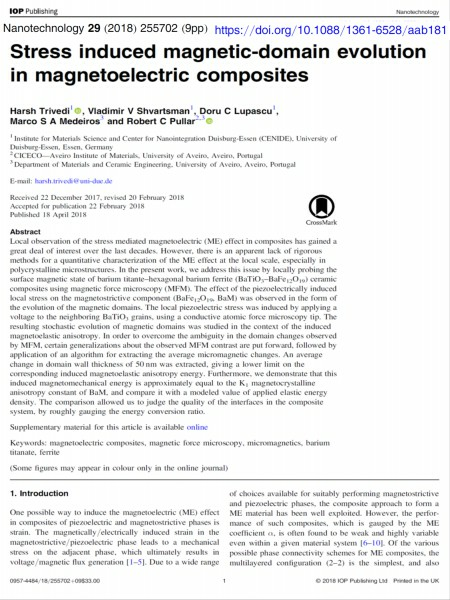 “Stress induced magnetic-domain evolution in magnetoelectric composites”. Harsh Trivedi, Vladimir V. Shvartsman, Doru C. Lupascu, Marco S. A. Medieros and Robert C. Pullar, Nanotechnology 29 (2018) 255702. 123. “Effects of catalysts on polymerisation and microstructure of sol-gel derived bioglasses”. 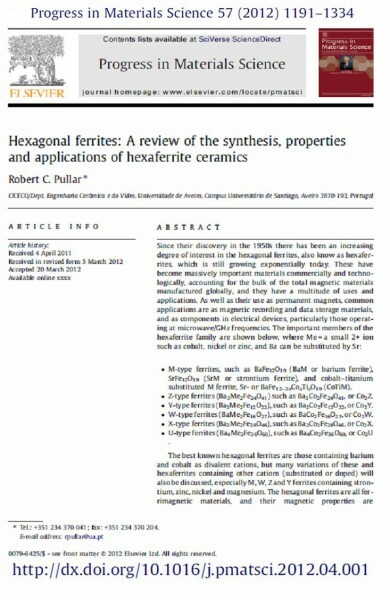 Basam A. E. Ben-Arfa, Hugo R. Fernandes, Isabel M. Miranda Salvado, José M. F. Ferreira and Robert C. Pullar, Journal of the American Ceramic Society 101 (2018) 2831-2839. 122. “Influence of Mg Substitution on Structural, Magnetic and Dielectric Properties of X-type Barium-Zinc Hexaferrites Ba2Zn2-xMgxFe28O46”. Amrin R. Kagdi, Neha P. Solanki, Francisco E. Carvalho, Sher Singh Meena, Pramod Bhatt, Robert C. Pullar and Rajshree B. Jotania, Journal of Alloys and Compounds 741 (2018) 377-391. 121. “Structural and complex electromagnetic properties of cobalt ferrite (CoFe2O4) with an addition of niobium pentoxide”. F. E. Carvalho, L. V. Lemos, A. C. C. Migliano, J. P. B. Machado and R. C. Pullar, Ceramics International 44 (2018) 915-921. 120. “Synthesis and bioactivity assessment of high silica content quaternary sol-gel glasses with Ca:P ratios of 1.5 and 1.67”. Basam A. E. Ben-Arfa, Hugo R. Fernandes, Isabel M. Miranda Salvado, José M. F. Ferreira and Robert C. Pullar, Journal of Biomedical Materials Research: Part A 106 (2018) 510-520. 119. “Biphasic apatite-carbon materials derived from pyrolysed fish bones for effective adsorption of persistent pollutants and heavy metals”. C. Piccirillo, I. S. Moreira, R. M. Novais, A. J. S. Fernandes, R. C. Pullar, P. M. L. Castro, Journal of Environmental Chemical Engineering 5 (2017) 4884-4894. 118. “Effective mechanical reinforcement of inorganic polymers using glass fibre waste”. Rui M. Novais, J. Carvalheiras, M. P. Seabra, R. C. Pullar, J. A. Labrincha, Journal of Cleaner Production 166 (2017) 343-349. 117. “Photocatalytic nano-composite architectural lime mortar for degradation of urban pollutants under solar and visible (interior) light”. Manfredi Saeli, David M. Tobaldi, Nejc Rozman, Andrijana Sever Škapin, João A. Labrincha and Robert C. Pullar, Construction and Building Materials 152 (2017) 206-213. 116. 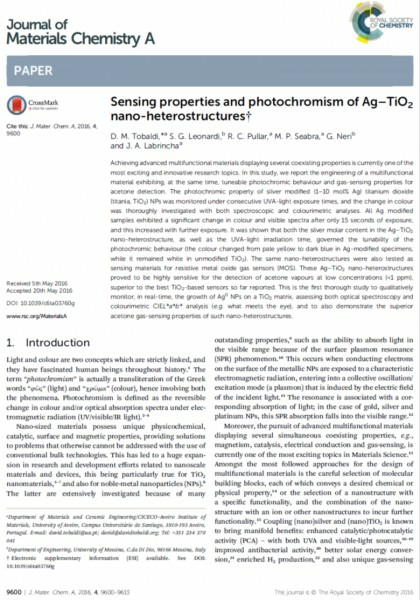 “Purely visible-light induced photochromism in Ag-TiO2 nano-heterostructures”. David Maria Tobaldi, María Jésus Hortigüela, Gonzalo Otero Irurueta, Manoj Kumar Singh, Robert C. Pullar, Maria Paula Seabra, and João António Labrincha, Langmuir 33 (2017) 4890-4902. 115. “Surface modified hydroxyapatites with various functionalized nanostructures: Computational studies of the vacancies in HAp”. V. S. Bystrov, E. V. Paramonova, Yu. D. Dekhtyar, A. V. Bystrova, R. C. Pullar, S. Kopyl, D. M. Tobaldi, C. Piccirillo, L. A. Avakyan and J. Coutinho, Ferroelectrics 509 (2017) 105-112. 114. “Production of silica gel from Tunisian sands and its adsorptive properties”. K. Lazaar, W. Hajjaji, R. C. Pullar, J. A. Labrincha, F. Rocha and F. Jamoussi, Journal of African Earth Sciences 130 (2017) 238-251. 113. 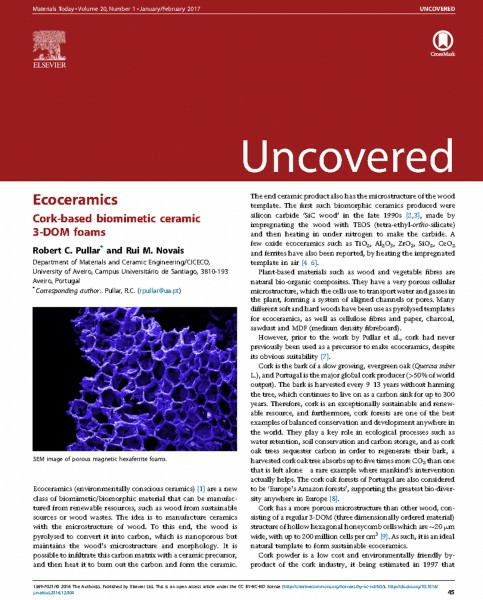 “Ecoceramics - Cork-based Biomimetic Ceramic 3-DOM Foams”. 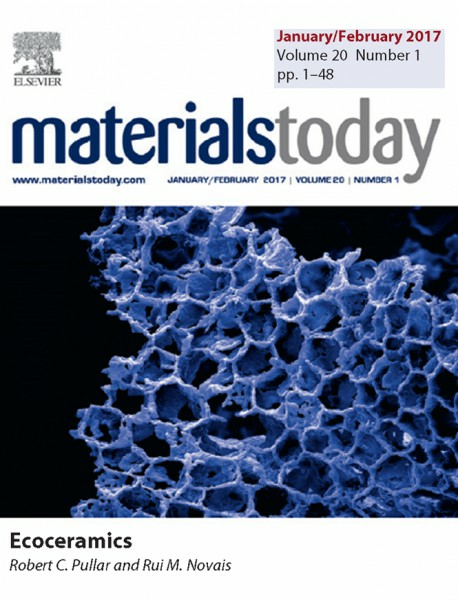 R. C. Pullar and R. M. Novais, cover article, Materials Today 20 (2017) 45-46. 112. "A hundred times faster: novel, rapid sol-gel synthesis of bio-glass nanopowders (Si-Na-Ca-P system, Ca:P = 1.67) without ageing”. Basam A. E. Ben-Arfa, Isabel M. Miranda Salvado, José M. F. Ferreira and Robert C. Pullar, International Journal of Applied Glass Science 8 (2017) 337-343. 111. “Effect of preparation and processing conditions on UV absorbing properties of hydroxyapatite-Fe2O3 sunscreen”. M. A. C. Teixeira, C. Piccirillo, D. Tobaldi, R. C. Pullar, J. A. Labrincha, M. O. Ferreira, P. M. L. Castro and M. M. E. Pintado, Materials Science and Engineering C 71 (2017) 141-149. 110. “Novel fast route for rapid sol-gel synthesis of hydroxyapatite, avoiding ageing and using fast drying with a 200-fold reduction in process time”. Basam A. E. Ben-Arfa, Isabel M. Miranda Salvado, José M.F. Ferreira and Robert C. Pullar, Materials Science and Engineering C 70 (2017) 796-804. 109. “Aerosol assisted chemical vapour deposition of hydroxyapatite-embedded titanium dioxide composite thin films”. C. Piccirillo, C. J. Denis, R. C. Pullar, R. Binions, I. P. Parkin, J. A. Darr and P. M. L. Castro, Journal of Photochemistry and Photobiology A: Chemistry 332 (2017) 45-53. 108. “The Smallest Bimetallic CoPt3 Superparamagnetic Nanoparticles”. Mohamed Karmaoui, Joao Amaral, Luc Lajaunie, Harinarayanan Puliyalil, David Maria Tobaldi, Robert C. Pullar, João Labrincha, Raul Arenal and Uros Cvelbar, Journal of Physical Chemistry Letters 7 (2016) 4039-4046. 107. “Biomimetic cork-based CeO2 ecoceramics for hydrogen generation using concentrated solar energy”. R. C. Pullar, L. Gil and F. A. C. Oliveira, Ciência & Tecnologia dos Materiais 28 (2016) 23-28. 106. “Effective removal of anionic and cationic dyes by kaolinite and TiO2/kaolinite composites”. W. Hajjaji, S. Andrejkovičová, R. C. Pullar, D. M. Tobaldi, A. Lopez-Galindo, F. Rocha and J. A. Labrincha, Clay Minerals 51 (2016) 19–27. 105. “Optimised novel fast route for synthesis of stoichiometric hydroxyapatite by employing the Taguchi method”. Basam A. E. Ben-Arfa, Isabel M. Miranda Salvado, Jorge R. Frade and Robert C. Pullar, Materials and Design 109 (2016) 547-555. 104. “Effects of Cu, Zn and Cu-Zn addition on the microstructure and antibacterial and photocatalytic functional properties of Cu-Zn modified TiO2 nano-heterostructures”. D. M. Tobaldi, C. Piccirillo, N. Rozman, R. C. Pullar, M. P. Seabra, A.S. Škapin, P. M. L.Castro and J. A. Labrincha, Journal of Photochemistry and Photobiology A 330 (2016) 44-55. 103. “The influence of Cu2+ and Mn2+ ions on the structure and crystallization of diopside-calcium pyrophosphate bioglasses”. Basam A. E. Ben-Arfa, Isabel M. Miranda Salvado, José M. F. Ferreira and Robert C. Pullar, International Journal of Applied Glass Science 7 (2016) 345-354. 102. 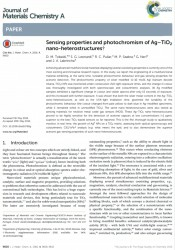 “Sensing properties and photochromism of Ag-TiO2 nano-heterostructures”. D. M. Tobaldi, S. G Leonardi, R. C Pullar, M. P. Seabra, G. Neri and J. A. Labrincha, Journal of Materials Chemistry A 4 (2016) 9600-9613. 101. “High dielectric constant and capacitance in ultrasmall (2.5 nm) SrHfO3 perovskite nanoparticles produced from a low temperature non-aqueous sol-gel route”. Mohamed Karmaoui, E.Venkata Ramana, David M. Tobaldi, Luc Lajaunie, Manuel. P. Graça, Raul Arenal, Maria P. Seabra, João A. Labrincha and Robert C. Pullar, RSC Advances 6 (2016) 51493-51502. 100. 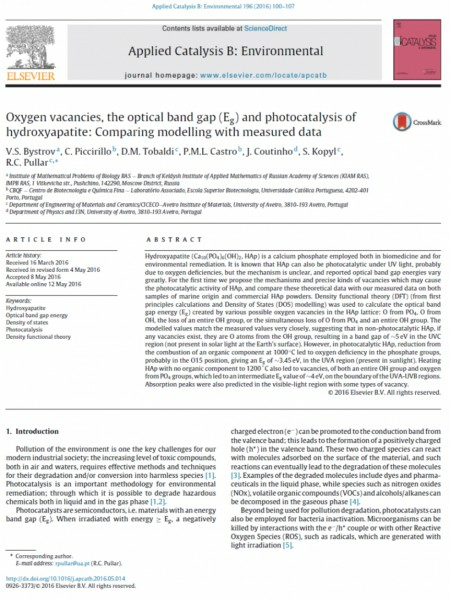 “Quantification of the effects of oxygen vacancies on the optical band gap (Eg) and photocatalysis of hydroxyapatite: comparing modelling with measured data”. V. S. Bystrov, C. Piccirillo, D. M. Tobaldi, P. M. L. Castro, J. Coutinho, S. Kopyl and R. C. Pullar, Applied Catalysis B: Environmental 196 (2016) 100-107. 99. “Aqueous Acid Orange 7 dye removal by clay and red mud mixes”. W. Hajjaji, R. C. Pullar, J. A. Labrincha and F. Rocha, Applied Clay Science 126 (2016) 197-206. 98. “The effect of functional ions (Y3+, F-, Ti4+) on the structure, sintering and crystallization of diopside-calcium pyrophosphate bioglasses”. Basam A. E. Ben-Arfa, Isabel M. Miranda Salvado, José M. F. Ferreira and Robert C. Pullar, Journal of Non-Crystalline Solids 433 (2016) 162-171. 97. “Valorisation of industrial iron oxide wastes to produce magnetic barium hexaferrite”. Robert C. Pullar, Manfredi Saeli, Rui M. Novais, João S. Amaral and João A. Labrincha, ChemistrySelect 1 (2016) 819-825. 96. 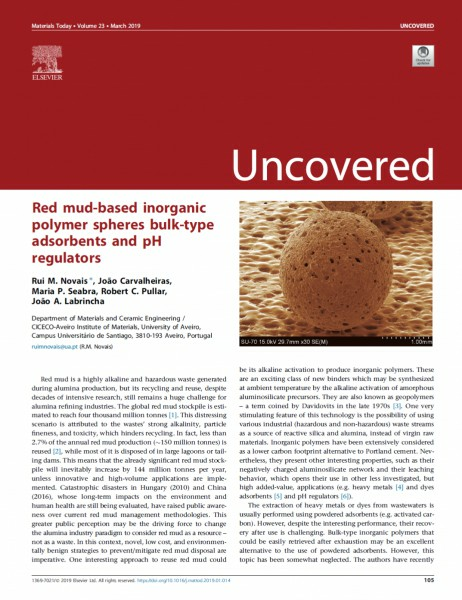 “Hidden value in low-cost inorganic pigments as potentially valuable magnetic materials”. 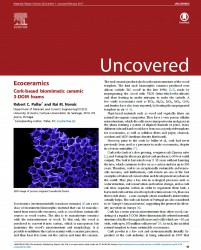 Rui M. Novais , M. P. Seabra , João S. Amaral and Robert C. Pullar, Ceramics International 42 (2016) 819-825. 95. “Pt-decorated In2O3 nanoparticles and their ability as a highly sensitive (<10 ppb) acetone sensor for biomedical applications”. 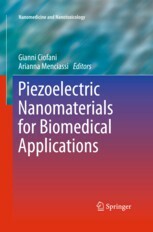 Mohamed Karmaoui,Salvatore G. Leonardi, Mariangela Latino, David M. Tobaldi, Nicola Donato, Robert C. Pullar, Maria P. Seabra, João A. Labrincha and Giovanni Neri, Sensors and Actuators B 230 (2016) 697-705. 94. “Truncated tetragonal bipyramidal anatase nanocrystals formed without use of capping agents from the supercritical drying of a TiO2 sol”. D. M. Tobaldi, R. C. Pullar, L. Durães, T. Matias, M. P. Seabra and J. A. Labrincha, CrystEngComm 18 (2016) 164-176. 93. “Quantitative XRD characterisation and gas-phase photocatalytic activity testing for visible-light (indoor applications) of KRONOClean 7000®”. D. M. Tobaldi, M. P. Seabra, G. Otero-Irurueta, Y. R. de Miguel, R. J. Ball, M. K. Singh, R. C. Pullar and J. A. Labrincha, RSC Advances 5 (2015) 102911-102918. 92. “Cu-TiO2 Hybrid Nanoparticles Exhibiting Tuneable Photochromic Behaviour”. David Maria Tobaldi, Nejc Rozman, Matteo Leoni, Maria Paula Seabra, Andrijana S. Škapin, Robert C. Pullar and João A. Labrincha, Journal of Physical Chemistry C 119 (2015) 23568-23668. 91. 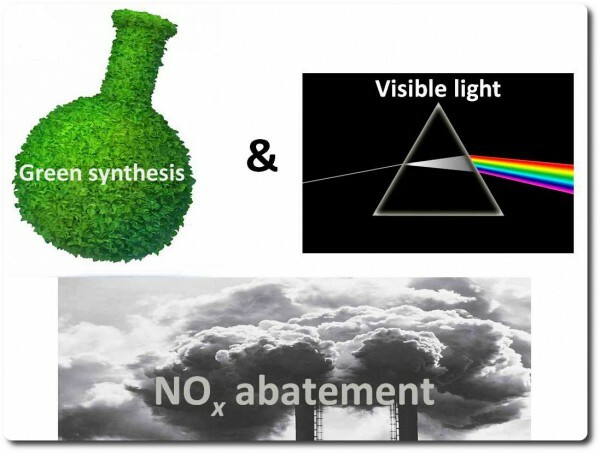 “Nitrogen-modified nano-titania: True phase composition, microstructure and visible-light induced photocatalytic NOx abatement”. D. M. Tobaldi, R. C. Pullar, A. F. Gualtieri, G. Otero-Irurueta, M. K. Singh, M. P. Seabra and J. A. Labrincha, Journal of Solid State Chemistry 231 (2015) 87-100. 90. “Nano-titania doped with europium and neodymium showing simultaneous photoluminescent and photocatalytic behaviour”. D. M. Tobaldi, R. A. S. Ferreira, R. C. Pullar, M. P. Seabra, L. D. Carlos and J. A. Labrincha, Journal of Materials Chemistry C 3 (2015) 4970-4986. 89. “Silver-containing calcium phosphate materials of marine origin with antibacterial activity”. C. Piccirillo, R. C. Pullar, D. M. Tobaldi, P. M. Lima Castro and M. M. Estevez Pintado, Ceramics International 41 (2015) 10152-10159. 88. 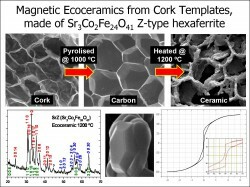 “Magnetic wood-based biomorphic Sr3Co2Fe24O41 Z-type hexaferrite ecoceramics made from cork templates”. 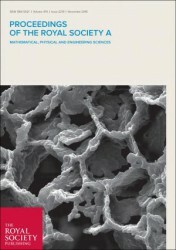 Robert C. Pullar, Pedro Marques, João Amaral and João A. Labrincha, Materials and Design 82 (2015) 297-303. 87. “Computational study of the hydroxyapatite structures, properties and defects”. V. S. Bystrov, J. Coutinho, A. V. Bystrova and Yu. D. Dekhtyar, R. C. Pullar, A. Poronin, E. Palcevskis, A. Dindune, B. Alkan, C. Durucan and E. V. Paramonova, Journal of Physics D 48 (2015) 195302. 86. “Hydroxyapatite-based materials of marine origin: a bioactivity and sintering study”. C. Piccirillo, R. C. Pullar, E. Costa, M. M. E. Pintado and P. M. L. Castro, Materials Science and Engineering C 51 (2015) 309-315. 85. “Local manifestations of static magnetoelectric effect in nanostructured BaTiO3 –BaFe12O9 composite multiferroic”. Harsh Trivedi, Vladimir V. Shvartsman, Doru C. Lupascu, Marco S. A. Medeiros, Robert C. Pullar, Andrei L. Kholkin, Pavel Zelenovskiy, Andrey Sosnovskikh and Vladimir Ya. Shur, Nanoscale 7 (2015) 4489-4496. 84. “Influence of sol counter-ions on the anatase-to-rutile phase transformation and microstructure of nanocrystalline TiO2”. D. M. Tobaldi, R. C. Pullar, A. F. Gualtieri, A. Belen Jorge, R. Binions, P. F. McMillan, M. P. Seabra and J. A. Labrincha, CrystEngComm 17 (2015) 1813-1825. 83. “Novel Nanosynthesis of In2O3 and its Application as a Resistive Gas Sensor for Sevoflurane Anesthetic”. M. Karmaoui, S. G. Leonardi, D. M. Tobaldi, N. Donato, R. C. Pullar, M. P. Seabra, J. A. Labrincha, and G. Neri, Journal of Materials Chemistry B 3 (2015) 399-407. 82. “Light induced antibacterial activity and photocatalytic properties of Ag/Ag3PO4-based material of marine origin”. C. Piccirillo,R. A. Pinto, D. M. Tobaldi, R. C. Pullar, J. A. Labrincha, M. M. E. Pintado, P. M. L. Castro, Journal of Photochemistry and Photobiology 296 (2015) 40-47. 81. “Non-aqueous sol-gel synthesis through a low-temperature solvothermal process of anatase showing visible-light photocatalytic activity”. M. Karmaoui, D. M. Tobaldi, A. Sever Škapin, R. C. Pullar, M. P. Seabra, J. 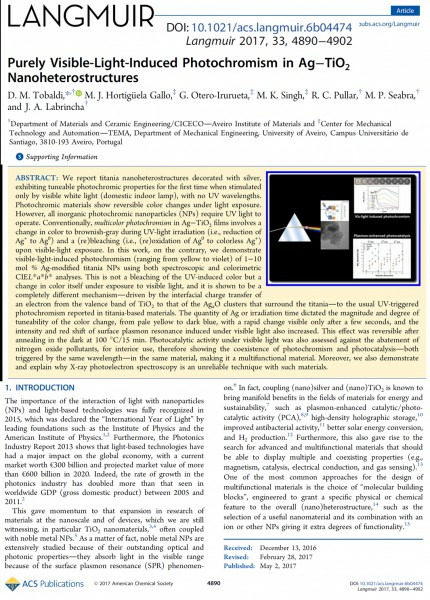 A. Labrincha and V. S. Amaral, RSC Advances 4 (2014) 46762-46770. C. Piccirillo, C. Rocha, D.M. Tobaldi, R.C. Pullar, J.A. Labrincha, M.O. Ferreira, P.M.L. Castro, M.M.E. Pintado, Journal of Materials Chemistry B 2 (2014) 5999-6009. 79. “Hydroxyapatite and chloroapatite derived from sardine by-products”. 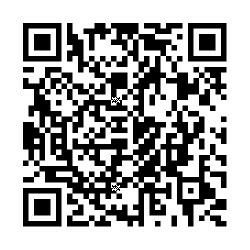 C. Piccirillo, R. C. Pullar, D. M. Tobaldi, P. M. L. Castro, M. M. E. Pintado, Ceramics International 40 (2014) 13231-13240. D.M. Tobaldi, R.C. Pullar, R. Binions, A- Belen.-Jorge-Sobrido, P.F.McMillan, M. Saeli, M.P. Seabra and J.A. Labrincha, Catalysis Science and Technology 4 (2014) 2134-2146. D. M. Tobaldi, R. C. Pullar, M. P. Seabra, J. A. Labrincha, Materials Letters 122 (2014) 345-347. D. M. Tobaldi, C. Piccirillo, R. C. Pullar, A. F. Gualtieri, M. P. Seabra, P. M. L. Castro, J. A. Labrincha, Journal of Physical Chemistry C 118 (2014) 4751-4766. R. C. Pullar, W. Hajjaji, J. Amaral, M. P. Seabra and J. A. Labrincha, Waste and Biomass Valorization 5 (2014) 133-138. D. Campos, C. Piccirillo, R. C. Pullar, P. M. L. Castro, M. M. E. Pintado, Journal of the Science of Food and Agriculture 94 (2014) 2097-2103. Robert C. Pullar, International Journal of Applied Ceramic Technology 11 (2014) 451-456. D. M. Tobaldi, R. C. Pullar, A. Sever Škapin, M. P. Seabra and J. A. Labrincha, Materials Research Bulletin 50 (2014) 183-190. D. M. Tobaldi, R. C. Pullar, M. Leoni, M. P. Seabra and J. A. Labrincha, Applied Surface Science 287 (2013) 276-281. 70. “Computational study of hydroxyapatite properties and its surface interactions”. V. S. Bystrov, E. V. Paramonova, E. Costa, C. Santos, M. Almeida, S. Kopyl, Yu. Dekhtyar, A. V. Bystrova, E. I. Maevsky, R. C. Pullar, and A. L. Kholkin, Ferroelectrics 449 (2013) 94-101. 69. “Guest Editorial - Proceedings of the 11th European Conference on Applications of Polar Dielectrics (ECAPD-11)”. 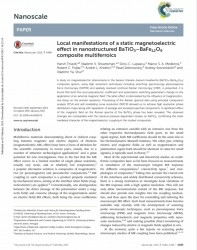 Robert C. Pullar, Andrei L. Kholkin, Vladimir S. Bystrov, Brahim Dhkil, Senentxu lanceros-Mendez and Jan Pokorny, Ferroelectrics 446 (2013) vii-viii. 68. "Natural Portuguese clayey materials and derived TiO2-containing composites used for decolouring Methylene blue and orange II solutions". W. Hajjaji, S. Ganiyu; D. M. Tobaldi; S. Andrejkovičová; R. C. Pullar; F. Rocha and J. A. Labrincha, Applied Clay Sciences 83-84 (2013) 91-98. 67. “Introduction to the special issue for ISAF-ECAPD-PFM 2012”. R. C. Pullar, A. L. Kholkin and S. Lanceros-Méndez, IEEE Trans. UFFC 60 (2013) 1549-1550. 66. “Phase composition, crystal structure and microstructure of silver and tungsten doped TiO2 nanopowders, with tuneable photochromic behaviour”. 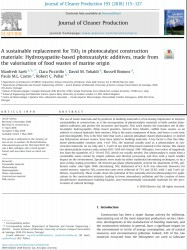 David M. Tobaldi, Robert C. Pullar, Alessandro F. Gualtieri, Maria Paula Seabra and João A. Labrincha, Acta Materialia 61 (2013) 5571-5585. 65. “Molecular modeling of the piezoelectric effect in the ferroelectric polymer poly(vinylidene fluoride) (PVDF)”. V. S. Bystrov, E. V. Paramonova, I. K. Bdikin, R. C. Pullar and A. L. Kholkin, Journal of Molecular Modeling 19 (2013) 3591-3602. 64. “Calcium phosphate-based materials of natural origin showing photocatalytic activity”. 63. “Bacteria immobilisation on hydroxyapatite surface for heavy metals removal”. C. Piccirillo, S. I. 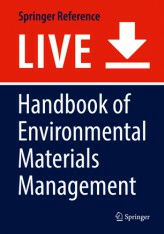 A. Pereira, A. P. Marques, R. C. Pullar, D. M. Tobaldi and P. M. L. Castro, Journal of Environmental Management 121 (2013) 87-95. D. M. Tobaldi, A. Sever Škapin, R. C. Pullar, M. P. Seabra and J. A. Labrincha, Ceramics International 39 (2013) 2619-2629. W. Hajjaji, R. C. Pullar, C. Zanelli, M. P. Seabra, M. Dondi and J. A. Labrincha, Dyes and Pigments 96 (2013) 659-664. D. M. Tobaldi, R. C. Pullar, A. F. Gualtieri, M. P. Seabra and J. A. Labrincha, Chemical Engineering Journal 214 (2013) 364-375. C. Piccirillo, M. F. Silva, R. C. Pullar, I. Braga da Cruz, R. Jorge, M. M. E. Pintado and P. M. L. Castro, Materials Science and Engineering C 33 (2013) 103-110. V. S. Bystrov, E. Paramonova, I. Bdikin, S. Kopyl, A. Heredia, R. C. Pullar and A. L. Kholkin, Ferroelectrics 440 (2012) 3-24. W. Hajjaji, R. Pullar, M. P. Seabra, M. Dondi and J. A. Labrincha, Waste and Biomass Valorization 3 (2012) 375-378. Robert C. Pullar, invited review, Progress in Materials Science 57 (2012) 1191-1334. R. C. Pullar, ACS Combinatorial Science 14 (2012) 425-433. 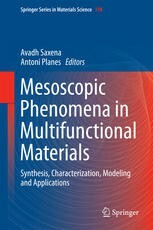 Vladimir S. Bystrov, Ekaterina V. Paramonova, Yuri Dekhtyar, Robert C. Pullar, Aleksey Katashev, Natalie Polyaka, Anna V. Bystrova, Alla V. Sapronova, Vladimir M. Fridkin, Herbert Kliem, Andrei L. Kholkin, Journal of Applied Physics 111 (2012) 104113. 53. “Magnetic properties of randomly oriented BaM, SrM, Co2Y, Co2Z and Co2W hexagonal ferrite fibres”. Robert C. Pullar, Igor K. Bdikin and Ashok K. Bhattacharya, Journal of the European Ceramic Society 32 (2012) 905-913. 52. 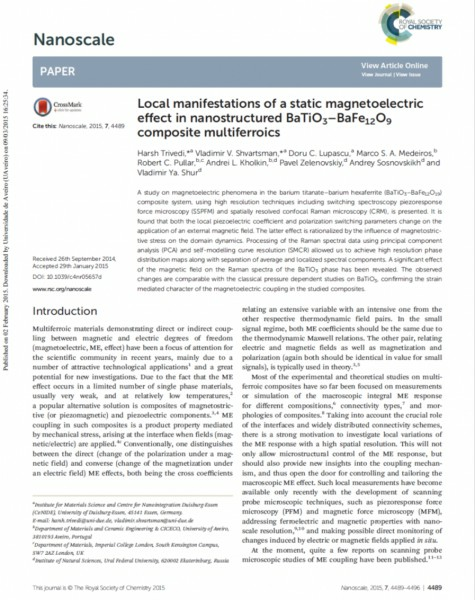 “Local scale probe of magnetoelectric coupling in BaFe12O19-BaTiO3 multiferroics”. 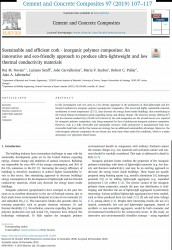 D. V. Karpinsky, R. C. Pullar, Y. K. Fetisov, K. E. Kamentsev and A. L Kholkin, Journal of Applied Physics 108 (2010) 042012. 51. “Development of Novel Multiferroic Composites Based on BaTiO3 and Hexagonal Ferrites”. D. V. Karpinsky, E. K. Selezneva, I. K. Bdikin, F. Figueiras, K. E. Kamentsev, Y. K. Fetisov, R. C. Pullar, J. Krebbs, N. M. Alford, and A. L. Kholkin, Proceedings of the Materials Research Society 1161 (2009) I01-06, pp. 7-12. 50. “The Synthesis, Properties and Applications of Columbite Niobates (M2+Nb2O6): A Critical Review”. Robert C. Pullar, invited review, Journal of the American Ceramic Society 92 (2009) 563-577. 49. “Phase Diagram and Microwave Dielectric Properties of the 6H Perovskites Ba3BSb2O9, B = Mg, Ca, Sr, Ba”. Chris D. Ling, Budwy Rowda, Maxim Avdeev and Robert Pullar, Journal of Solid State Chemistry 182 (2009) 479-483. 48. “Dielectric Measurements on a Novel Ba1-xCaxTiO3 (BCT) Bulk Ceramic Combinatorial Library”. Robert C. Pullar, Yong Zhang, Lifeng Chen, Shoufeng Yang, Julian R. G. Evans, Andrei N. Salak, Dmitry A. Kiselev, Andrei L. Kholkin, Victor M. Ferreira and Neil McN. Alford, Journal of Electroceramics 22 (2009) 245-251. 47. “Dielectric Loss caused by Oxygen Deficiency in Titania Ceramics”. Robert C. Pullar, Stuart J. Penn, Xiaoru Wang, I. M. Reaney and Neil McN. 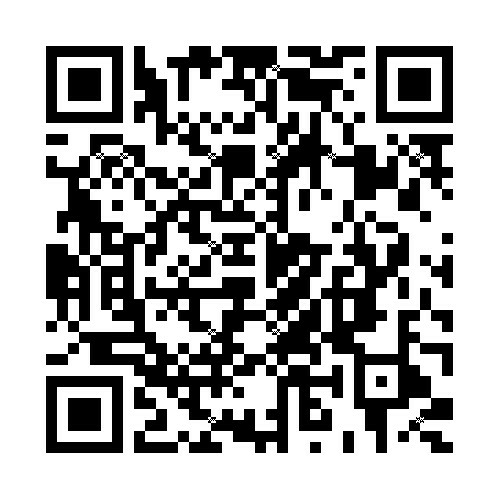 Alford, Journal of the European Ceramic Society 29 (2009) 419-424. 46. “The effects of dielectric loss and tip resistance on resonator Q of the SEMM probe”. D. P. Kimber, R. C. Pullar and N. McN. Alford, Measurement Science and Technology 19 (2008) 115502. 45. “Bismuth-induced dielectric relaxation in the (1-x)La(Mg1/2Ti1/2)O3 – xBi(Mg1/2Ti1/2)O3 perovskite system”. Andrei N. Salak, Victor M. Ferreira, Jose L. Ribeiro, Luis G. Vieira, Robert C. Pullar and Neil McN. Alford, Journal of Applied Physics 104 (2008) 014105. 44. “Functional Ceramic Materials Database: An online resource for materials research”. D. J. Scott, S. Manos, P. V. Coveney, J. C. H. Rossiny, S. Fearn, J. A. Kilner, R. C. Pullar, N. McN. Alford, A-K Axelsson, Y. Zhang, L. Chen, S. Yang, J. R. G. Evans and M. T. Sebastian, Journal of Chemical Information and Modeling 48 (2008) 449-455. 43. “Dielectric relaxation and microwave loss in the La(Mg1/2Ti1/2)O3 – (Na1/2Bi1/2)TiO3 perovskite ceramics”. A. N. Salak, V. M. Ferreira, L. G. Vieira, J. L. Ribeiro, R. C. Pullar and N. McN. Alford, Journal of Materials Research 22 (2007) 2676-2684. 42. “Broadband microwave-to-terahertz near-field imaging”. Serhiy Danylyuk, Ulrich Poppe, Fillip Kadec, Peter Kužel, Milan Berta, Norbert Klein, Robert C. Pullar and Henry Romanus, Microwave Symposium, 2007, IEEE/Microwave Theory and Techniques (MTT-S) International (2007) 1383-1386. 41. “Manufacture and Measurement of Combinatorial Libraries of Dielectric Ceramics, part II: Dielectric Measurements of Ba1-xSrxTiO3 Libraries”. Robert C. Pullar, Yong Zhang, Lifeng Chen, Shoufeng Yang, Julian R. G. Evans, Peter Kr. Petrov,Andrei N. Salak, Dmitry A. Kiselev, Andrei L. Kholkin, Victor M. Ferreira and Neil McN. Alford, Journal of the European Ceramic Society 27 (2007) 4437-4443. 40. “Manufacture and Measurement of Combinatorial Libraries of Dielectric Ceramics, part I: Physical Characterisation of Ba1-xSrxTiO3 Libraries”. Robert C. Pullar, Yong Zhang, Lifeng Chen, Shoufeng Yang, Julian R. G. Evans and Neil McN. Alford, Journal of the European Ceramic Society 27 (2007) 3861-3865. 39. “MgWO4, ZnWO4, NiWO4 and CoWO4 microwave dielectric ceramics”. R. C. Pullar, S. Farrah and N. McN. Alford, Journal of the European Ceramic Society 27 (2007) 1059-1063. 38. “A mechanism for low-temperature sintering”. Matjaz Valant, Danilo Suvorov, Robert C. Pullar, Kumaravinothan Sarma and Neil McN. Alford, Journal of the European Ceramic Society 26 (2006) 2777-2783. 37. “Novel microwave dielectric LTCCs based upon V2O5 doped M2+Cu2Nb2O8 compounds (M2+ = Zn, Co, Ni, Mg and Ca)”. R. C. Pullar, C. Lai, F. Azough, R. Freer and N. McN. Alford, Journal of the European Ceramic Society 26 (2006) 1943-1946. 36. “Evaluating the Properties of Dielectric Materials for Microwave Integrated Circuits”. A. Centeno, J. D. Breeze, J. Krupka, R. A. Walters, K. Sarma, H. Chien, R. C. Pullar, P. K. Petrov and N. McN. Alford, IET Seminar Digest 11614 (2006), 21-26. 35. “Low-temperature microwave and THz dielectric response in novel microwave ceramics”. S. Kamba, D. Noujni, A. Pashkin, J. Petzelt, R. C. Pullar, A-K. Axelsson and N. McN. Alford, Journal of the European Ceramic Society 26 (2006) 1845-1851. 34. “V2O5-doped M2+Cu2Nb2O8 compounds (M2+ = Zn, Co, Ni, Mg & Ca) for microwave dielectric LTCCs”. R. C. Pullar, C. Lai and N. McN. Alford, Materials Science Forum514-516 (2006) 264-268. 33. 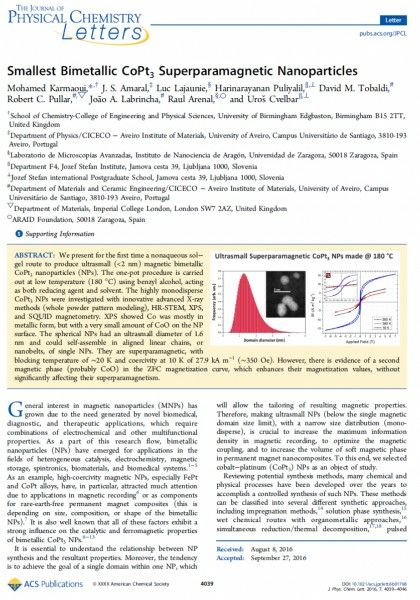 “The magnetic properties of aligned M hexa-ferrite fibres”. R. C. Pullar and A. K. Bhattacharya, Journal of Magnetism and Magnetic Materials 300 (2006) 490-499. 32. “Effect of sodium on the creep resistance of yttrium aluminium garnet (YAG) fibres”. R. C. Pullar, M. D. Taylor and A. K. Bhattacharya, Journal of the European Ceramic Society 26 (2006) 1577-1583. 31. “Characterization and microwave dielectric properties of M2+Nb2O6 ceramics”. Robert C. Pullar, Jonathan D. Breeze and Neil McN. Alford, Journal of the American Ceramic Society 88 (2005) 2466-2471. 30. 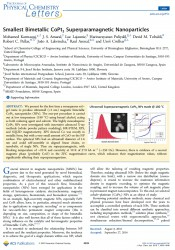 “Sintering Behaviour of BaxSr1-xTiO3”. Kumaravinothan Sarma, Rehan Farooq, Katy Jarman, Robert C. Pullar, Peter K. Petrov and Neil McN. Alford, Integrated Ferroelectrics 62 (2004) 249-252. 29. “Effect of doping on the dielectric properties of CeO2 in the microwave and far-infrared frequency range”. Narayana Iyer Santha, Mailadil Thomas Sebastian, Pezholil Mohanan, Neil McN. Alford, Kumaravinothan Sarma, Robert C. Pullar, Stanislav Kamba, Alexej Pashkin, Polina Samukhina and Jan Petzelt, Journal of the American Ceramic Society 87 (2004) 1233-1237. 28. “Effect of sintering aids upon dielectric microwave properties of ZnNb2O6, CoNb2O6, MgNb2O6 and CaNb2O6 columbite niobates”. R. C. Pullar, C. Vaughan and N. McN. Alford, Key Engineering Materials 264-268 (2004) 1157-1160. 27. “Relationship between microwave and lattice vibration properties in Ba(Zn1/3Nb2/3)O3-based microwave dielectric ceramics”. Stanislav Kamba, Hana Hughes, Dmitri Noujni, Santhi Surendran , Robert C. Pullar, Polina Samoukhina, Jan Petzelt, Robert Freer, Neil McN. Alford and David M. Iddles, Journal of Physics D: Applied Physics 37 (2004) 1980-1986. 26. “Structure Property Relations in xBaTiO3 – (1-x)La(Mg1/2Ti1/2)O3 Solid Solutions”. M. P. Seabra, M. Avdeev, V. M. Ferreira, R. C. Pullar, N. McN. Alford and I. M. Reaney, Journal of the American Ceramic Society 87 (2004) 584-590. 25. “The effects of sintering aids upon dielectric microwave properties of columbite niobates, M2+Nb2O6”. R. C. Pullar, C. Vaughan and N. McN. Alford, Journal of Physics D: Applied Physics 37 (2004) 348-352. 24. “Temperature Compensated Niobate Microwave Ceramics based upon the Columbite Structure, M2+Nb2O6”. Robert C. Pullar, Ken Okeneme and Neil McN. Alford, Journal of the European Ceramic Society 23 (2003) 2479-2483. 23. “Structure and microwave dielectric properties of La(Mg0.5Ti0.5)O3 – CaTiO3 System”. M. P. Seabra, M. Avdeev, V. M. Ferreira, R. C. Pullar and N. McN. Alford, Journal of the European Ceramic Society 23 (2003) 2403-2408. 22. “Near-zero tf doped-niobate ceramics for dielectric resonator applications”. R. C. Pullar, A. K. Axelsson and N. M. Alford, in “Morphotrophic Phase Boundary Perovskites, High Strain Piezoelectrics, and Dielectric Ceramics”, Ceramic Transactions 136 (2003) 287-304. 21. “Crystallisation of hexagonal M ferrites from a stoichiometric sol-gel precursor, without formation of the a-BaFe2O4 intermediate phase”. R. C. Pullar and A. K. Bhattacharya, Materials Letters 57 (2002) 537-542. 20. “A halide free route to the manufacture of microstructurally improved M ferrite (BaFe12O19 & SrFe12O19) fibres”. R. C. Pullar, M. D. Taylor and A. K. Bhattacharya, Journal of the European Ceramic Society 22 (2002) 2039-2045. 19. “Microwave dielectric properties of columbite-structure niobate ceramics, M2+Nb2O6”. R. C. Pullar, J. D. Breeze and N. McN. Alford, Key Engineering Materials 224-6 (2002) 1-4. 18. “Decomposition, shrinkage and evolution with temperature of aligned hexagonal ferrite fibres”. R. C. Pullar, M. H. Stacey, M. D. Taylor and A. K. Bhattacharya, Acta Materialia 49 (2001) 4241-4250. 17. “Halide removal from BaM (BaFe12O19) and SrM (SrFe12O19) ferrite fibres via a steaming process”. R. C. Pullar, M. D. Taylor and A. K. Bhattacharya, Journal of Materials Research 16 (2001) 3162-3169. 16. “The synthesis and characterisation of Co2X (Ba2Co2 Fe28O46) and Co2U (Ba4Co2Fe36­O60) ferrite fibres, manufactured from a sol-gel process”. R. C. Pullar and A. K. Bhattacharya, Journal of Materials Science 36 (2001) 4805-4812. 15. “Magnetic properties of nanocrystalline CoFe2O4 powders prepared at room temperature: variation with crystallite size”. M. Rajendran, R. C. Pullar, A. K. Bhattacharya, D. Das, S. N. Chintalapudi and C. K. Majumdar, Journal of Magnetism and Magnetic Materials 232 (2001) 71-83. 14. 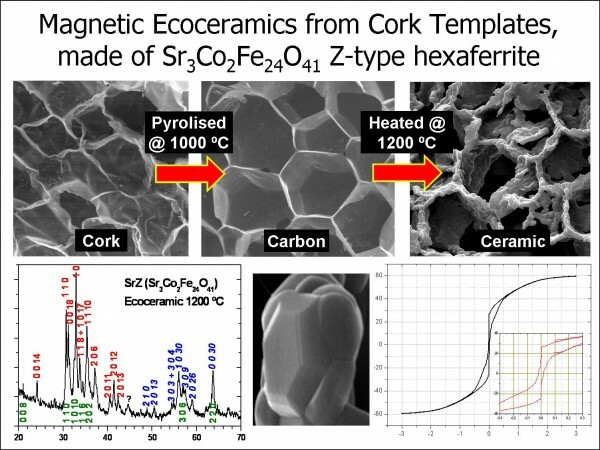 “The synthesis and characterization of the hexagonal Z ferrite, Sr3Co2Fe24O41, from a sol-gel precursor”. R. C. Pullar and A. K. Bhattacharya, Materials Research Bulletin 36 (2001) 1531-1538. R. C. Pullar, M. D. Taylor and A. K. Bhattacharya, Journal of the European Ceramic Society 21 (2001) 19-27. 12. “A method for the preparation of aligned fibre samples for magnetic measurement using VSM”. 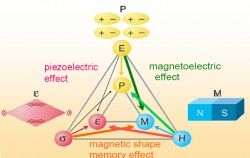 R. C. Pullar, Journal of Magnetism and Magnetic Materials 218 (2000) 1-4. 11. “The sintering behaviour, mechanical properties and creep resistance of aligned polycrystalline yttrium aluminium garnet (YAG) fibres, produced from an aqueous sol-gel precursor”. R. C. Pullar, M. D. Taylor and A. K. Bhattacharya, Journal of the European Ceramic Society 19 (1999) 1747-1758. 10. “Polycrystalline yttrium aluminium garnet (YAG) fibres produced from the steaming of an aqueous sol-gel precursor”. R. C. Pullar and A. K. Bhattacharya, Materials Letters 39 (1999) 173-8. 9. “The manufacture and characterisation of single phase magnetite and haematite aligned fibres from an aqueous sol-gel process”. R. C. Pullar, D. R. Pyke, M. D. Taylor and A. K. Bhattacharya, Journal of Materials Science 33 (1998) 5229-5235. 8. “The manufacture of yttrium aluminium garnet (YAG) fibres by blow spinning from a sol-gel precursor”. R. C. Pullar, M. D. Taylor and A. K. Bhattacharya, Journal of the European Ceramic Society 18 (1998) 1759-1764. 7. “The manufacture, characterisation and microwave properties of aligned M ferrite fibres”. R. C. Pullar, S. G. Appleton and A. K. Bhattacharya, Journal of Magnetism and Magnetic Materials 186 (1998) 326-332. 6. 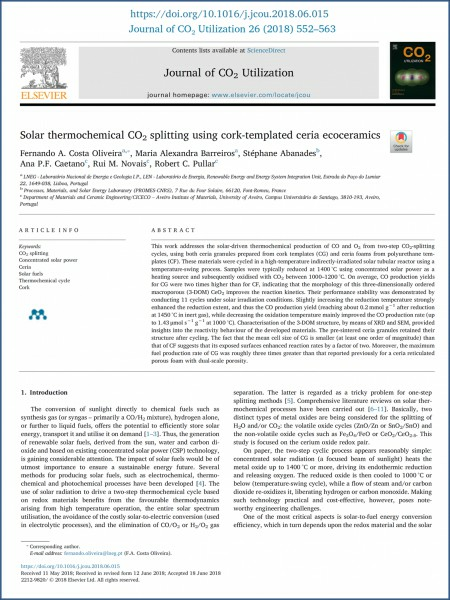 “The synthesis and characterisation of aligned fibres of the ferroxplana ferrites Co2Z, 0.67% CaO-doped Co2Z, Co2Y and Co2W”. R. C. Pullar, S. G. Appleton, M. H. Stacey, M. D. Taylor and A. K. Bhattacharya, Journal of Magnetism and Magnetic Materials 186 (1998) 313-325. 5. 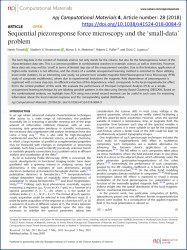 “Blow spun strontium zirconate fibres produced from a sol-gel precursor”. R. C. Pullar, M. D. Taylor and A. K. Bhattacharya, Journal of Materials Science 33 (1998) 3229-3232. 4. “The microwave properties of aligned hexagonal ferrite fibers”. R. C. Pullar, S. G. Appleton and A. K. Bhattacharya, Journal of Materials Science Letters 17 (1998) 973-975. 3. “Aligned hexagonal Co2W ferrite fibres, BaCo2Fe16O27 produced from an aqueous sol-gel process”. R. C. Pullar, M. D. Taylor and A. K. Bhattacharya, Journal of Materials Science 32 (1997) 873-877. 2. “Magnetic Co2Y ferrite, Ba2Co2Fe12O22 fibres produced by a blow spun process”. R. C. Pullar, M. D. Taylor and A. K. Bhattacharya, Journal of Materials Science 32 (1997) 365-368. 1. “Novel aqueous sol-gel preparation and characterisation of barium M ferrite, BaFe12O19 fibres”. R. C. Pullar, M. D. Taylor and A. K. Bhattacharya, Journal of Materials Science 32 (1997) 349-352. 2018, JOURNAL OF ALLOYS AND COMPOUNDS, 741, 377-391. 2018, JOURNAL OF BIOMEDICAL MATERIALS RESEARCH PART A, 106, 2, 510-520. 2018, CERAMICS INTERNATIONAL, 44, 1, 915-921. 2018, JOURNAL OF CLEANER PRODUCTION, 193, 115-127.